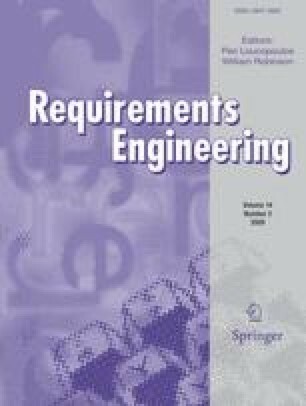 This paper investigates the effectiveness of different uses of scenarios on requirements discovery using results from requirements processes in two projects. The first specified requirements on a new aircraft management system at a regional UK airport to reduce its environmental impact. The second specified new work-based learning tools to be adopted by a consortium of organizations. In both projects scenarios were walked through both in facilitated workshops and in the stakeholders’ workplaces using different forms of a scenario tool. In the second project, scenarios were also walked through with a software prototype and creativity prompts. Results revealed both qualitative and quantitative differences in discovered requirements that have potential implications for models of scenario-based requirements discovery and the design of scenario tools. Work reported in this paper was funded in part by the UK DTI-funded VANTAGE Phase-1 project and in part by the EU-funded FP6 027023 APOSDLE project.